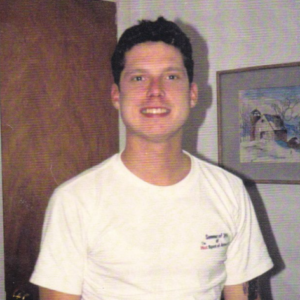 My son Matt died in a dirt bike accident in 1992 when he was 25. After the service, people related stories to us about Matt’s generosity, how he shared what little he had. We laughed about how funny Matt was, and how he made people smile. But the greatest gift Matt gave out of love were his heart and kidneys, transplanted into people whose vital organs were failing. Three people will live because Matt filled out a card when he was sixteen. The organ recovery coordinator told me one of Matt’s kidneys had been placed in a young woman who was about to get married when Matt died. Receiving his kidney meant she would no longer have to be on dialysis three times a week. Other people benefited from his eyes, tissue, and bones. However, the best news was that Matt’s heart had gone to a middle-aged man who was a teacher, a father, and a grandfather who “enjoys a full and normal life,” according to the agency. Knowing Matt’s heart beats in a person whose life has been spent helping children makes me feel proud.